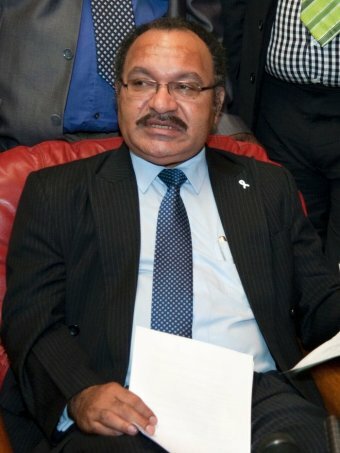 The head of the Papua New Guinea's Anti-Corruption Taskforce says huge amounts of money have been lost through government corruption and mismanagement in the past six years. Sam Koim says his office estimates that more than seven billion Kina have been siphoned off since 2007. 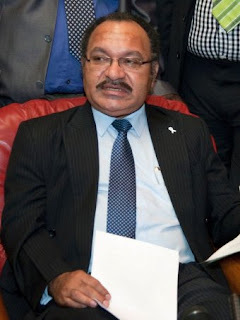 He has told Pacific Beat that corruption has grown from occasional and sporadic instances to the extent where it is now entrenched and becoming endemic in PNG. "From the allegations that we've received and from the information at hand, we have identified that at least 40 per cent of our national budget is lost through corruption, wastage and mismanagement annually," he said. "That is the extent of the problem that we have in this country." Mr Koim has put advertisements in local newspapers to give the public an update on the scale of corruption within PNG's Government. Among those facing committal hearing before the National Court are three current politicians, Paul Tiensten, Mark Maipakai, and Francis Potape. Mr Koim says the Taskforce has arrested and charged 59 people with 30 people committed to stand trial. "Of those 30 people, including leaders, serving politicians and business people, some of their trials are coming up in the month of September and we're looking forward to how they go - our aim is to secure conviction," he said. Mr Koim says some of those arrested have properties in Australia and his Taskforce is working closely with the Australian authorities to have those assets restrained. "It is public knowledge that Mr (Eremas) Wartoto's assets have been affectively restrained in Australia but there are others who own property in Australia and we are working to restrain them as well," he said. Mr Koim says Prime Minister, Peter ONeill, is committed to fighting corruption. "That will has been demonstrated through the creation of the team that I am heading," Mr Koim said. "(But) the buck stops with him but it must be a concerted effort by all other ministers and leaders and department heads to align themselves to combat corruption. "The decisions of government have to be realigned to combat corruption - that remains a challenge in actioning the will of the government."